Thank you for continuing to make Sky Candy your home for circus training. We’ve got lots of options for you as you advance: sign up for the next round of series classes, book open studio time or private lessons, check out upcoming workshops with visiting instructors, and more! 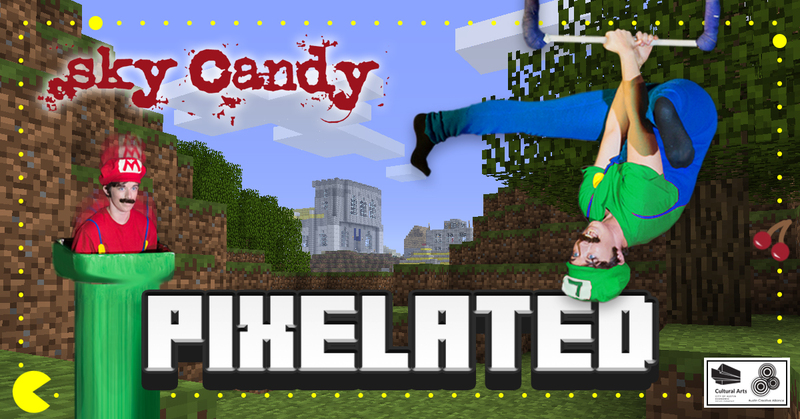 Join us for a night of family-friendly video game based aerial acts. Student Showcase: Sky Candy in Space! Come watch a student showcase that's sure to be out of this world! https://www.skycandyaustin.com/wp-content/uploads/2019/04/SCinSpace-cover4.jpg 628 1200 Mercedes Vaughn https://www.skycandyaustin.com/wp-content/uploads/2018/09/Logo_v2018.png Mercedes Vaughn2019-04-01 17:17:362019-04-09 17:41:29Student Showcase: Sky Candy in Space! We're keeping it artsy with a night of collaboration with other Austin artists. Take a break from the hustle and bustle of SXSW and come train with us! 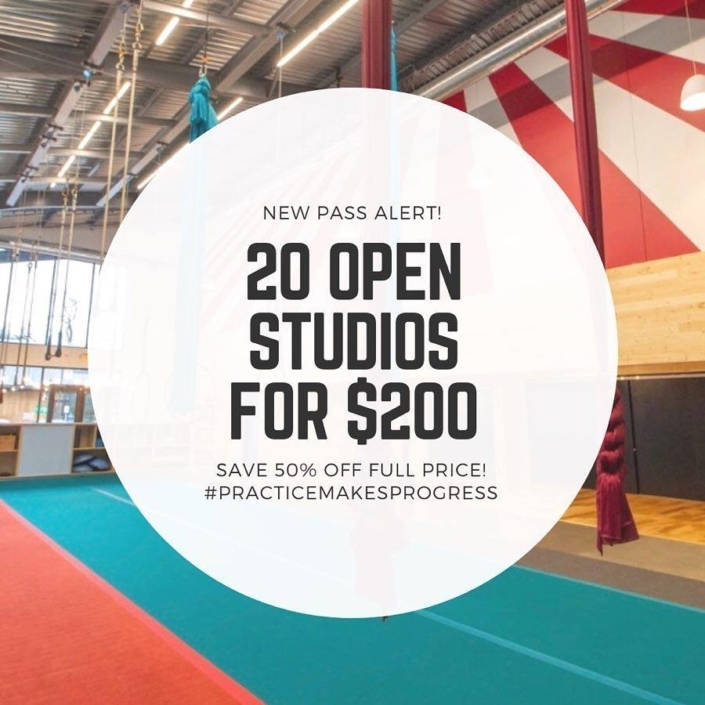 New Open Studio pass price level for all your training needs! Our March First Flyday and Pole Party will be Mardi Gras-themed! Come support our students as they show us what they've learned! Partner Yoga & Thai Massage Workshop! Join us for two hours of building compassionate connections with a partner. There is no teaching during open studio. All equipment, including carabiners, swivels, silks, lyra, trapeze, rope, etc. are provided by Sky Candy, though attendees are welcome to bring their own. Please ask the Open Studio host to rig your equipment for you as we do not allow students to use our rigging system. Remember, you must always work with a crash mat underneath you! The Open Studio host is also available for questions as needed. While we do not allow teaching during Open Studio, we do want you to be safe – so if you’re unsure about something, please ask! *Open Studios are for students ages 18 and up, or students who have completed an Open Studio assessment! * An Open Studio assessment lasts 30 minutes, and the charge for this assessment is $40. Please contact frontdesk@skycandyaustin.com if you would like to schedule an Open Studio assessment, or if you have any questions about our Open Studio policies. Youth drop-in classes include portions focused on both skill development and play. The circus arts are a great way for kids to gain strength, flexibility, confidence and body awareness, and have a great time doing it! 1. 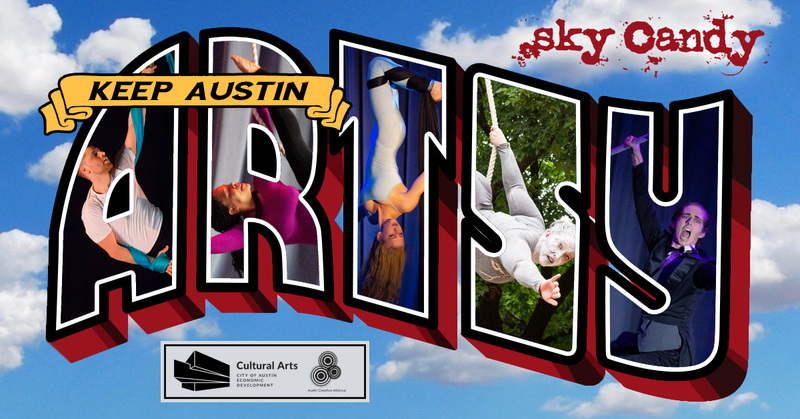 Visit our website at www.skycandyaustin.com and click the “Login | Register” button in the upper righthand corner, or at the bottom of the page. 2. Create an account under the child’s name (using their birth date). 3. Once the account is created, the site should prompt you to attach a credit card, or you can do this by clicking on “Account Info”, scrolling down to “Payment Info”, and then clicking on “Edit Payment Info”. Once your child’s account is set up with the credit card attached, their profile is complete! From here, you should be able to sign up your child for our Youth Drop-In and Series classes and our Sky Camp sessions. If you have any trouble creating an account or registering your child for classes, you can always email our friendly Front Desk team at frontdesk@skycandyaustin.com, or call at 512-800-4998, and we can assist you. Drop-in circus classes at Sky Candy are no-commitment one-hour classes focusing on supplemental disciplines such as conditioning, flexibility, and burlesque. Most of our drop-in classes are open to students of all levels. 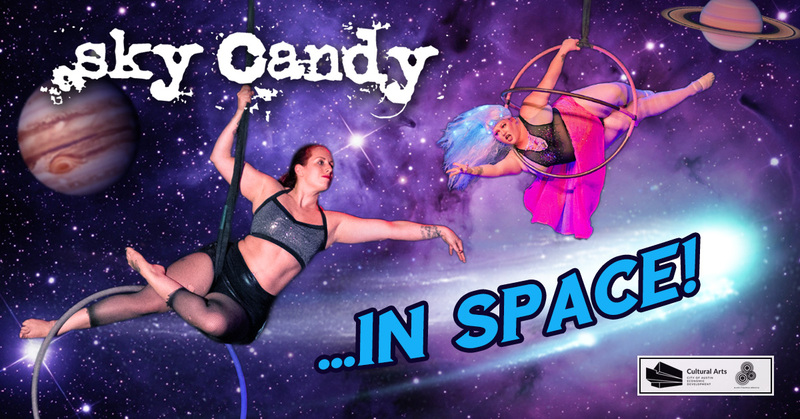 Whether your goal is to get fit on your favorite apparatus, flip upside down in a handstands or acrobatics class, or stretch it all out in a flexibility or self-care class, Sky Candy has a drop-in circus class just for you! Take advantage of our $120 Unlimited Monthly Drop-in Pass for the best deal on unlimited drop in circus classes. Our Series classes are intended to be taken as many times as needed. Students who are unsure about their level are encouraged to book a 30-minute Assessment Lesson with the teacher whose class they would like to join. If you have had a break from aerial classes that has lasted more than two months, we recommend that you schedule an Assessment Lesson before signing up, to determine which level is most appropriate for you to join as you return to our classes. Individual series lengths, meeting times, and prices may vary slightly. For information about specific classes in this series, please click on the class name in the Series Sign-Up section below. 1. Are there prerequisites to taking an aerial class? How about age or weight limits? There are no prerequisites to taking an aerial class, and we do not have weight, fitness, or age limits for adults (ages 13+)! Kids who have successfully completed kindergarten and up are welcome in our Youth classes, and we offer Private Lessons for kids under 6. We recommend taking an Intro to Aerials drop-in class to start off. This 75-minute class lets you try out all of the apparatuses to see which ones you like best. You can find more information about our classes for beginners here. 3. What should I wear and bring to class? For your first class, we recommend wearing close-fitting workout clothes that cover the armpits and backs of the knees. Yoga pants/leggings and a T-shirt would be an appropriate outfit. Do not wear jeans, or any other clothing with metal or sharp elements. Do not bring any glass into the studio. We generally work in bare feet, so be prepared to take off your shoes! Make sure to come hydrated, and it’s a great idea to bring a water bottle. Aerial Classes: We recommend wearing close-fitting workout clothes that cover the armpits and backs of the knees. Yoga pants/leggings and a t-shirt would be an appropriate outfit. Pole Classes: We recommend wearing short shorts, a sports bra or tank top, and bringing socks or leg warmers. Harness/Bungee Classes: We recommend wearing leggings or close-fitting pants/shorts (biking shorts are great and full-bottomed underwear that will stay in place and keep you aligned. Some people prefer wearing two layers for extra cushioning (such as shorts with pants over or under). Burlesque Classes: Wear whatever makes you feel comfortable, but avoid jeans or clothing with metal or sharp elements. 4. Can I arrive early for my scheduled class? Please do! If it is your first class, we ask that you arrive 15 minutes before your class start time to fill out a waiver. We start all classes at their scheduled time, so please try your best to be on time. 5. What are the class sizes and lengths? Aerial classes run 75 minutes, with as few as three or as many as eight students. Class time is spent both trying out the moves yourself and watching others to observe form and technique. 6. How much time in advance do I need to sign up for a class? It is best to register as far in advance as possible, to ensure that you have the spot you want. Some of our classes get booked up weeks in advance. E-mail frontdesk@skycandyaustin.com if you’re having trouble registering! 7. How do I register and pay for a class? You can use our website! Check under the New Students and Returning Students tab for Adult classes and Youth Program tab for Youth classes. In cases where students have given us sufficient notice (12+ hours for drop-in classes and Open Studios, 24+ hours for private lessons, 48 hours prior to the first class for Series enrollments), we can offer an account credit for the amount paid that can be applied to future classes. Please see below for more details about our refund policies. 9. If I miss a Series class, can I make up the class later, or attend another class instead? We do not offer make-up classes for missed Series classes, except in the event that the class was cancelled by the teacher or Sky Candy. Students must attend the Series class(es) for which they registered. Students who wish to make up missed material can book a 30-minute Catch-up Private Lesson with their instructor. 10. Do you sell gift cards? Yes! You can get your Sky Candy gift cards here. They expire 5 years from date of purchase, and may be used to purchase goods and services (except for other gift cards) and may not be redeemed for cash. 11. Can I bring my dog? Unfortunately, no. As much as we love having furry friends around, their presence just doesn’t make sense in a busy, workout setting, particularly one with the safety considerations that our studio has. At this time, only Sky Candy staff may bring their dogs to the studio. Arrive on time! Latecomers may not be allowed to participate. Please make sure that you arrive at Sky Candy on time for your class. If you are more than 10 minutes late to any class, you are welcome to stay and watch, but you will not be allowed to participate, as it is dangerous to engage in any circus-related activities without a proper warm-up. Empty classes may be cancelled. If there are no students signed up for a drop-in class twelve hours prior to the class start time, the class may be cancelled. If you want to ensure that we keep a class on the schedule, be sure to schedule your place in advance for it on our website! Late canceling a class costs. Not able to make a drop-in class you signed up for? Happens all the time. If you can cancel before our late cancel window (12 hours before the class starts), no problem. However, if you cancel within that window, you will be charged a $10 late cancel fee. If you are an Unlimited Drop-In Pass holder, you will still be charged; if you have a 5- or 10-Class Pass, the class will be removed from your remaining class count. We understand that last minute illnesses, injuries, car troubles, and other extenuating circumstances come up, but we still incur teacher and staff costs for classes that are late cancelled. 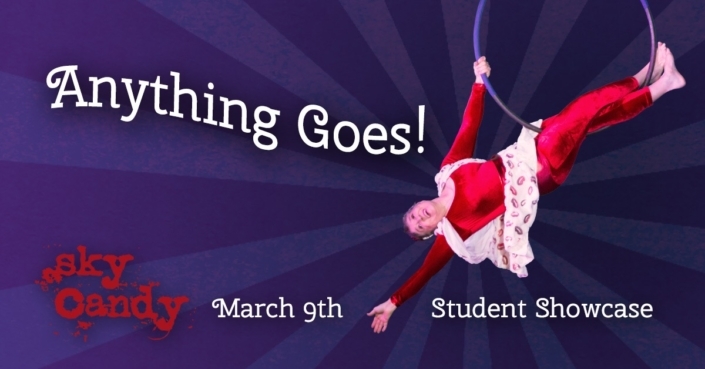 The $10 late cancel fee will be donated to the Sky Candy Scholarship Fund, which helps youth who would otherwise be unable to afford aerial classes to train at Sky Candy. Adult classes are for students ages 13 and up. We only allow students 13 and up into our regularly scheduled drop-in and series classes. On occasion, a teacher may make exceptions for particularly mature students. Students aged 6-13 are welcome in our Youth classes, and students aged 12-17 may attend our Teen classes. Students under the age of 6 may be eligible to take private lessons. Please contact us at frontdesk@skycandyaustin.com for more details. All services must be paid for in advance. To guarantee a spot in a Series classes, drop-in classes, private lessons, parties, or workshops, students must pay in advance. Check expiration dates on purchases. Please note that for all individual Drop-in Class, Open Studio, and Series purchases: Credit for these purchases expires one year from the purchase date. We do not offer refunds or extensions on purchases that have expired. Please check on the individual expiration dates for other classes and passes, including multi-class passes, unlimited passes, and special deals or discounts. Except in very rare circumstances, we cannot offer refunds for any of our services. In cases where students have given us sufficient notice (12+ hours for drop-in classes, 24+ hours for private lessons and Open Studios, 48 hours prior to the first class for Series enrollments), we can offer an account credit for the amount paid that can be applied to future classes. We do make exceptions for serious injuries or illnesses for which the student can provide us a note from a medical professional. For information on complete refund policies, or to cancel a class, e-mail our Front Desk at frontdesk@skycandyaustin.com. No makeup classes in Series. Unless you have specific permission from a teacher to make other arrangements, we do not offer free make-up classes for missed classes during a series. We strongly recommend scheduling a 30 minute private lesson with your teacher to catch up on missed material. Everyone must sign a waiver. Everyone must sign a waiver before attending class, training, or engaging in any activity at Sky Candy. To sign our waiver, click on the red button on the bottom right of this page. Dress appropriately for your apparatus. NO METAL OR SHARP OBJECTS PLEASE! For most aerial apparatuses, proper attire means close-fitting workout clothes that cover the legs and underarms. Do not wear jewelry, unsecured eyeglasses, grommets, or any other objects that can snag or damage the equipment, yourself, your fellow students, and/or teacher! Look above in FAQ #3 for more detailed info. Absolutely no training under the influence of drugs or alcohol! If your teacher suspects that you may be compromised in this or some other way (i.e. injury, illness, or severe sleep deprivation) you may be asked to sit out and observe your class. Get warm and stay hydrated. Please arrive to class on time and ready for warm-up. If you are attending Open Studio, be sure to warm up on your own in the studio before beginning aerial work. Come hydrated and stay hydrated! In a space with shared apparatuses and training space, it is important that all students practice good hygiene. Additionally, we request that everyone avoid heavy fragrances and lotions. Be respectful to the teachers, employees, your fellow students, and the studio. No photography or video recording is allowed without the express permission of the person being photographed or filmed. No shoes on the mats or apparatus. Please wear appropriate footwear when walking around outside of the Sky Candy studio. Please be considerate with cell phone use. No glass, ceramic, or open containers of any kind. With hard floors and bare feet, it’s not worth the danger. Please bring water in other kinds of containers. Only water permitted in the mat-covered areas of the studio. Do not walk under apparatuses while they are in use. The people in the air have the right of way! Always be aware of your surroundings. Do not rig equipment unless you have been trained. Do not attempt to rig any equipment. Please ask a trained member of the Sky Candy staff if you need equipment adjusted for any reason. Ask for assistance if you are unsure about a move or trick or need spotting. Never train alone and always use a crash mat! If you are injured during class or Open Studio, inform your teacher or host immediately! Open Studio is for practice. Open Studio is intended to be a forum to practice what you learn in class; do not attempt to execute new moves or to teach other students. The safest way to learn any aerial or circus skill is with a qualified instructor. We do not recommend ANY other method of learning aerial or circus skills. Open Studios are for students ages 18 and up, or students who have successfully completed an Open Studio assessment. An Open Studio assessment lasts 30 minutes, and the charge for this assessment is $40. Please contact frontdesk@skycandyaustin.com if you would like to schedule an Open Studio assessment, or if you have any questions about our Open Studio policies. To participate in Open Studio, a student must have either successful completion of any Intro Series or teacher approval. Welcome! We are excited that you’re exploring Sky Candy! We aim to make your family’s aerial and circus experience as fun, safe, and awesome as possible! Please don’t hesitate to ask if you have any questions, and check out the Sky Candy Families Facebook Group to connect with other families! For your benefit, some commonly asked questions can be found below. For questions about specific skills levels needed to advance, please refer here. Please note that all participants in Sky Candy classes must have a signed waiver–you can fill out a waiver for your child by clicking the red box at the bottom right of this page. Does my child need to have any prior experience before signing up for classes or camps? The majority of Sky Candy youth classes at this time do not require any prior experience! Check out our Drop-In and Series Classes, none of which require any previous experience! All Sky Camps, except for the intensive camp, also do not require any previous experience. There are no fitness requirements to register for classes, and we welcome all youth students who meet our age requirements. The youth program is reserved for youth who have successfully completed kindergarten through aged 17. Beginner youth from 6-12 should begin with an Aerial Basics Series. For youth aged 13 and up, Teen Circus Club is the best place to begin their aerial journey. Youth who have not yet successfully completed kindergarten may take private lessons at Sky Candy with the additional supervision by their parent(s) or guardian(s). What should my child wear to class or camp? For most of our aerial and circus classes, we recommend close-fitting workout clothes and bare feet. Do not wear clothing with metal zippers, exposed buttons, grommets or other decorative elements that may get caught on and damage the apparatus. Please do not wear jeans! Do not wear or apply lotions or oils before attending class, as they will impede grip. Remove all jewelry (rings, bracelets, dangling earrings, and watches) before class as it could pinch you and damage the apparatus. When should my child arrive for class? If it is your child’s first class, please arrive fifteen minutes before class time to fill out a waiver. We start all classes at their scheduled time, so please try your best to be on time! Should my child practice what they’ve learned outside of class? Some things learned in class can be practiced at home (stretching, conditioning etc.) However, we encourage youth to keep aerial tricks inside the studio under the guidance of our trained aerial coaches. If a youth wants to practice skills learned in series classes outside of class, attending Youth Drop-Ins are a great place to do this! Older youth with more experience can attend Open Studio with teacher permission. What are the class sizes and lengths? Youth classes range from one hour (drop-ins) to 75 minutes (Series classes). They can have as few as one, or as many as six students. How much time in advance do I need to sign up for a class? It is best to register as far in advance as possible to ensure that you have the spot you want. Some of our classes get booked up weeks in advance. You can register for all of our classes in advance through the Mindbody site. Email frontdesk@skycandyaustin.com if you’re having trouble registering with Mindbody! Can I just sign my child up under my Sky Candy account? No, we require each student, regardless of age, to have their own Sky Candy Mindbody account with which to sign up for classes, camps, workshops, etc. For a full overview of all of our policies and procedures regarding youth students, please click here. Our highly-trained, experienced aerial teachers lead our youth students through safe progressions on the Trapeze, Silks, Lyra and Hammock, and help prepare more advanced students to perform in Student Showcases. Our Youth Series classes are intended to be taken as many times as needed. For information about specific classes in this series, please click on the class name in the Series Sign-Up section on the page this pop-up populated from. Our Youth Series classes typically meet once a week for 10 weeks, and cost $250, unless otherwise noted. Contact frontdesk@skycandyaustin.com with any questions! Have a question? E-mail us at frontdesk@skycandyaustin.com, use the form below, give us a call at 512-800-4998, or drop by the studio! To participate in these classes, a student must be a current Level 2 student (eligible for any Level 2 class) or have teacher approval. Each class may have additional prerequisites that can be found by clicking the class name in the Booking/Sign-Up section below. All of our teachers are available for private lessons in Silks, Lyra, Trapeze, Rope, Hammock, Pole, Handstands, Burlesque and more! Don’t see your discipline/apparatus of choice listed below, or need help booking your lesson? Feel free to contact our Front Desk at frontdesk@skycandyaustin.com or 512-800-4998! ¡Bienvenidos a Sky Candy! Ahora ofrecemos lecciones privadas de acrobacia aérea e arte circense para hispanohablantes. Para más información sobre nuestro programa, por favor refiere a este nuevo artículo del periódico El Mundo y contacte frontdesk@skycandyaustin.com para programar una lección privada. Want to book a Sports Massage? You’re in the right place! Just select “Sports Massage” from the menu below. Our Workshops have varying, individual prerequisites. Specific prerequisites can be found by clicking the Workshop name in the Sign-Up section below. These classes may have class-specific prerequisites that can be found by clicking the class name in the Booking/Sign-Up section below. To participate in these classes, a student must have either successful completion of Intro to Silks and Hammock series or teacher approval. To participate in these classes, a student must have either successful completion of Intro to Trapeze and Lyra series or teacher approval. Private lessons are a great option for siblings, families, small groups, and friends!